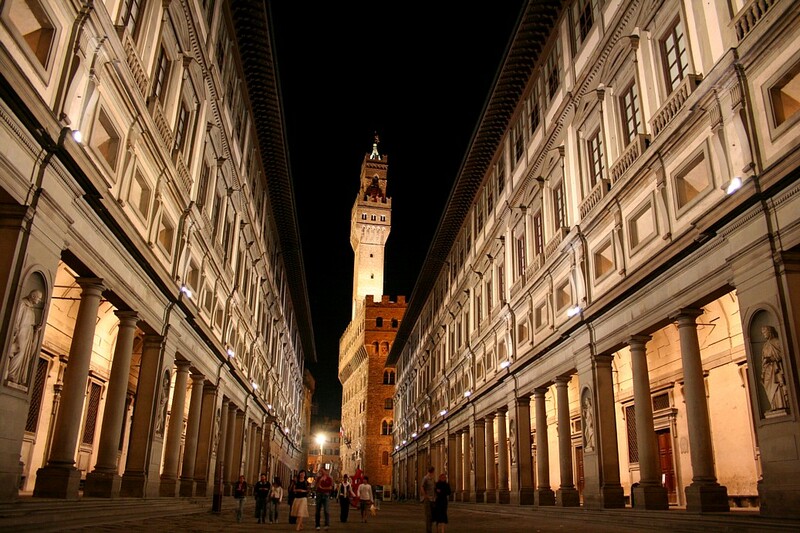 Florence, cradle of Renaissance, is a paradise for lovers of both art and photography! Come with us to discover art in this open air sculpture in Florence photo tour. All about the OPEN AIR SCULPTURE IN FLORENCE PHOTO TOUR. Florence, cradle of Renaissance, is a paradise for lovers of both art and pictures! Come with us to discover art in this open air sculpture in Florence photo tour. Considering Florence as an important destination for art and photo lovers, is indeed right: Florence is the perfect place to shot marvelous architectonic elements and stunning pieces of art. Buildings and museums are easy to find and there will always be something to discover in there. But in relation to this issues, Florence has much more to offer than simple rooms full of frames, above all if you want to capture art in its a urban context. Declared a World Heritage Site by UNESCO in 1982, Florence is renowned for its Renaissance art and for the many museums it hosts, like the Uffizi Gallery and Palazzo Pitti. By the way, being a true open-air museum, Florence allow you to discover its beauties by simply strolling around in the town. Walk with us and our master photographer on and off the beaten tracks to discover and capture breathtaking pictures of open air statues and sculpture not shield among walls. Our master photographer invites you to follow him in the early hours of the morning or in the late afternoon to shoot splendid scenarios with the most beautiful and stunning light possible in Florence. These times allow you to reflect more on the role of light in the composition of the picture and allow you to shoot avoiding the many tourists that crowd the charming but small alleys of the city. Take your time and enjoy the view of a rarely silence and calm moment in Florence; think freely at your picture and try all the possible alternatives to obtain the most interesting perspective for your perception. Play with the lights, natural or artificial, and improve your technique with a professional by wandering along this on-the-field workshop. Particularly fascinating when free from the crowd of tourists, this square has an irregular shape which space has been established during XIII and XIV centuries, being from the very beginning the heart of the city. From the Renaissance it has been enriched with stunning pieces of art (David of Michelangelo, Giuditta and Oloferne and Marzocco realized by Donatello...) and, even though some sculpture are copies, this square doesn't lost its charm. Two in particular are the exceptional pieces of art that adorn the loggia: Perseo, realized by Benvenuto Cellini and il Ratto delle Sabine created by Giambologna. Undoubtedly something that requires a visit and a deep observation. The peculiar shape of the building reveals the original function of the space where now stands a church; it was in fact a loggia used to store the supplies useful in case of emergency. Beside the beauty of the church, admire the sculptures on the recesses of the façade, realized in the first decades of the XV century. 28 sculptures realized at the end of XIX Century enrich the recesses of the colonnade. The statues represent eminent Florentine personalities, like Boccaccio, Galileo, Giotto and Machiavelli... and all together are a stunning example of art. The snout of the boar sitting and looking at the tourists invites to get closer. Touch it! The local tradition says it would bring you good luck, or try to insert a coin in its mouth, if it falls into the grill it is considered a positive presage. One of the most popular and charming squares in Florence host, among the many interesting architectonic elements, even two marble obelisks dating back to XVI century. In Piazza della Repubblica, during the XV century was erected a column at the intersection of the ancient Roman roads named Cardo and Decumano, identifying the center of the roman city. On the top of it, it has been placed the statue of Abbondanza or Dovizia (abundance) holding a cornucopia. In Piazza Santa Trinità rises the tallest of the urban columns; high more than 11 meters, it comes from the Terme di Caracalla in Rome. On the top of the column there's the statue of la Giustizia (the Justice) realized in ancient red porphyry, that required almost 11 years to be shaped. Not far from the Dome, in Piazza San Giovanni, rises the column of San Zanobi remembering a miracle happened here in the year 429. On the top of the column you can observe an iron tree and a cross. 5202116723_156b9ef0d6_b_cc_flickr_chris Brown Fontana del Porcellino, Florence. 5851464327_41bce8a0ee_b_cc_flickr_Sonny Abesamis Sculpture in Florence. OLYMPUS DIGITAL CAMERA_Firenze_kosciol_Santa_Maria_Novella_1_cc_commons.wikimedia.org Santa Maria Novella Obelisk, Florence. Leonardo_da_Vinci01_cc_commons.wikimedia.org Sculpture of Leonardo Da Vinci in Florence.